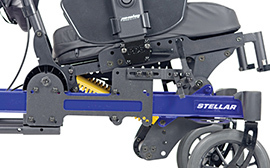 Designed for individuals who require optimal pressure relief and positioning, the Stellar is one of the only manual tilt-in- space wheelchairs in the market that offers up to 45° of tilt while maintaining a low knee rise. 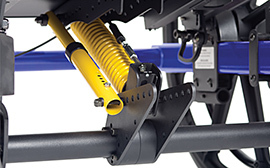 Its unique and durable architecture allows the chair to be maneuvered under tables while tilted, letting users participate in normal dining and a wide variety of social activities. 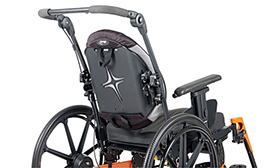 Achieve up to 30° of back recline angle change with a single bolt.